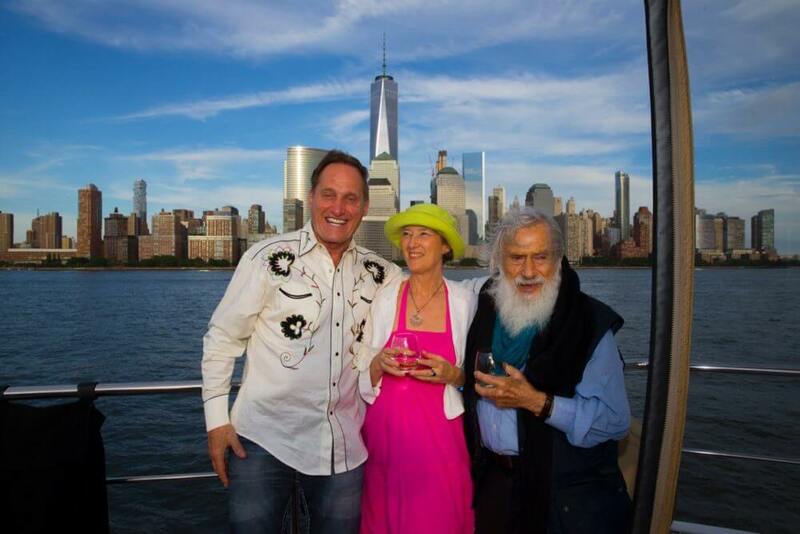 Park West Gallery CEO Albert Scaglione with Chantal Thomas d’Hoste and Yaacov Agam sailing in the Upper New York Bay. Celebrating your 88th birthday sounds like a once-in-a-lifetime event, but artist Yaacov Agam always finds a way to explore outside the norms. Agam, widely considered to be the “Father of Kinetic Art,” celebrated his 88th birthday not just on May 11, but also in New York on May 29 with the help of Park West Gallery Founder and CEO Albert Scaglione and a special calendar. Two years after meeting Agam in 1974, Scaglione began working with him and their relationship grew into an enduring friendship during the past four decades. Agam enjoyed his 88th birthday on May 11, but the celebrations didn’t stop there. 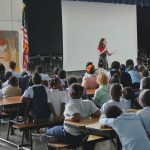 Scaglione says Agam informed him that, according to the 354-day Jewish calendar, his birthday would actually be 18 days later, falling on May 29 instead. New York is also an important location regarding Agam’s history as an artist. A significant retrospective exhibition, “Beyond the Visible” was held at the Guggenheim Museum in New York in 1980. In addition, his “Selected Suites” were on display at the Jewish Museum in New York in 1975, and his “Double Metamorphosis II” was shown in the Museum of Modern Art. New York City even houses a menorah he constructed that is recognized by the Guinness Book of World Records as the largest in the world. Scaglione attended a performance of the musical “Hamilton” with Agam. Afterwards, Agam, Scaglione and a select group of close friends and family gathered on a yacht and sailed in the Upper New York Bay, including around the Statute of Liberty. 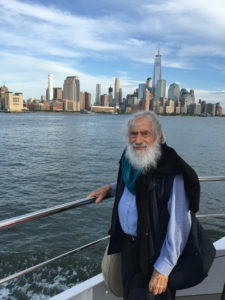 Yaacov Agam sailing in New York during his 88th birthday celebration. 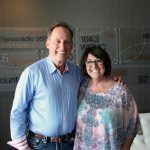 Scaglione says in the past, Agam has requested that Albert sing for him, usually an Elvis song such as “Love Me Tender.” However, to mark this occasion, Scaglione fulfilled Agam’s request by singing “Dream Lover” by Bobby Darin. Agam was born in the city of Rishon LeZion on May 11, 1928. Agam established himself as a pioneer in kinetic art, creating artwork that is kinetic in nature and transforms with movement. His father, a Rabbi and Kabbalist, was an influence in shaping his nonrepresentational and abstract style. Any chance of an Agam exhibit coming back to NY? I have been to the Centre Pompidou and have 4 Agams in my home. I would life to see more! Do you have list of artists cruising with RC or Celebrity this fall and next year? Would be interested in traveling on ones with artists we have purchased. Thanks. I wish Yaakov a very Happy Birthday and he should have good health to celebrate many more. 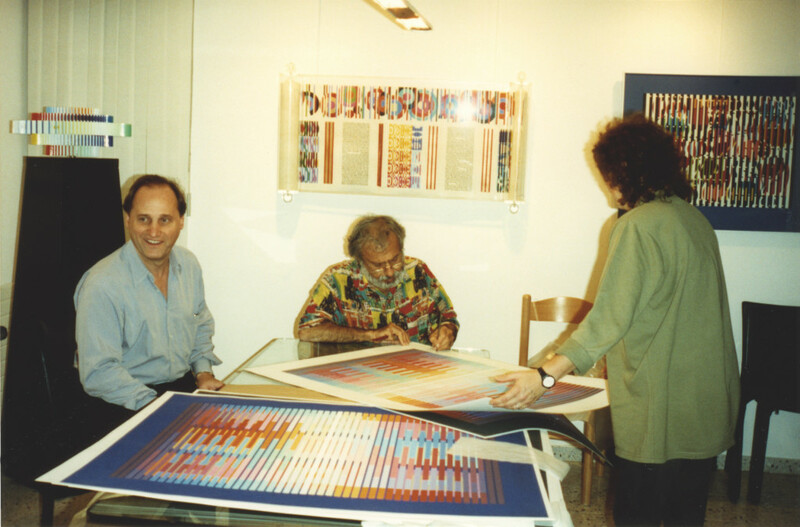 We are the owners of 3 artworks by Yaakov Agam. We would have like to join the celebration as we live in New York State. Here in London, we are the proud and loving owners of an Agamograph purchased from the Park West Gallery last year on board the Explorer of the Seas. Our daughter has two of his works – one also an Agamograph and the other a conventional (if any of Agam’s works can be described as conventional!!) piece of his Kinetic Art. Both of these were purchased in the US. Unfortunately Agam’s works do not seem to be very well known in the UK and we wondered why you could not promote an exhibition of the works of this Pop Art genius here in London so as to make his art more widely known. Meanwhile we wish him יום הלאדאת or as we say over here a very happy 88th birthday. Here in San Diego California we wish Yaakov mazel for his birthday and to a happy and healthy beautiful year ahead!